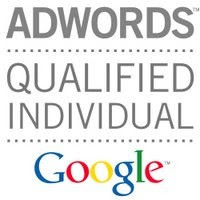 Google is making changes to the way destination URLs are handled in Google AdWords. They are creating Upgraded URLs. What this means is you will have a destination URL domain.com and a separate module for tracking, a tracking template. This is rolling out as we speak but will have a final deadline of July 1st to complete URL upgrades. Upgraded URLs let you enter the landing page portion of your URL and your tracking information separately in AdWords. Now you have the option to update your tracking information at your account, campaign or ad group without having to re-set your ad stats. Every time you change tracking the historical data and quality score won't change with your ads. Regardless if you are adding parameters to the URL or redirecting through a third-party click tracker platform. The deadline for upgrading your URLs is July 1st. At that time all URLs will be upgraded to yourdomain.com only and if you haven't created a tracking template to redirect your URLs through a click tracker (Kenshoo or Marin for example) or appended URLs with utms you will lose the ability to track your Google AdWords traffic in third-party analytics. It will also break your redirects from a third-party click tracker. The link to the Google Hangout video & the link for the Google Upgrade URL Guide.